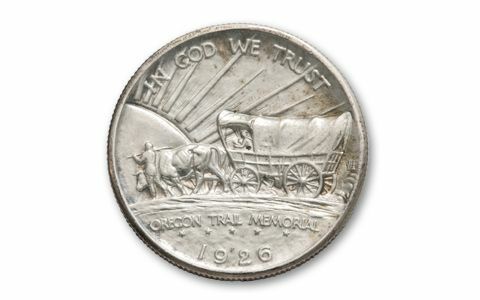 The 90% silver Oregon Trail Half Dollar is regarded as one of the best designs ever for a U.S. coin. It features a classic Native American facing east and a Conestoga covered wagon heading west. 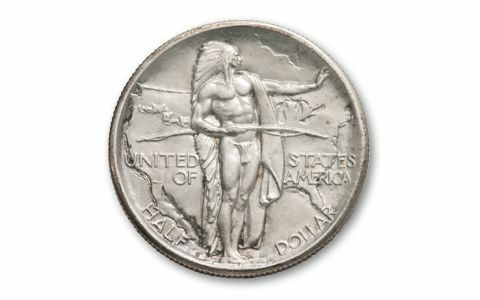 It was minted between 1926 and 1939 and honors the pioneers who travelled west along the trail. 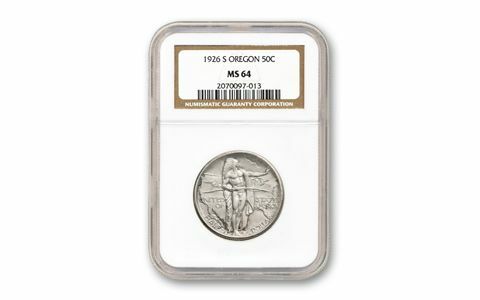 It's the first commemorative ever struck at both the Denver and San Francisco Mints. In 14 years, only about 200,000 were minted, making this coin very difficult to locate in any condition. Don't wait! These aren't often available to add to your collection. 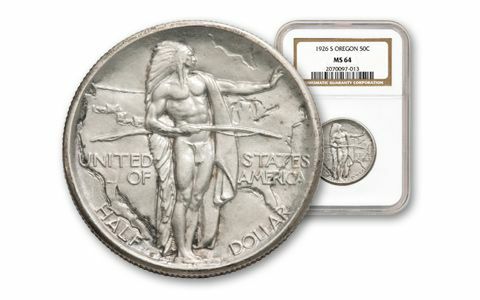 Get them now in high-detail graded Mint State-64 (MS64) by PCGS or NGC. Dates and grading service vary.